Our goal is to provide you with a Superior Product and Excellent Service. If you have a problem with your item or feel that you can not provide. SEE PICTURES. 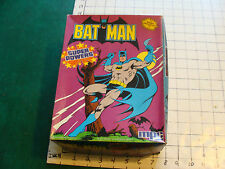 Sealed 1984 MPC Super Powers Batman. Model# 1-1702. 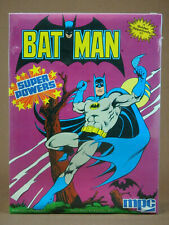 Sealed 1984 MPC Super Powers Batman. Model# 1-1702. There are a few tears in the cellophane but the model is sealed. Box is worn with signs of water marks. Item was bought in a estate sale and will be sold as it was found. Lighting will make images appear different. New and Sealed By MPC 1984. 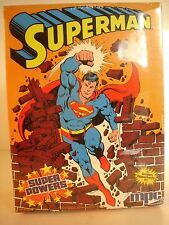 Superman Model Kit. 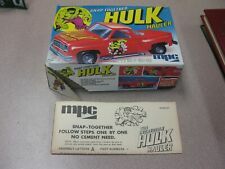 MPC by Round 2 Models 8" tall plastic kit #764 c.2012-factory sealed-skill level 1. From the Manufacturer. Within U.S. FREE. Box has been opened, but parts are still sealed in original bag. This is a toy. 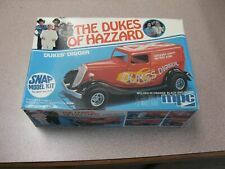 - This is Model Kit.